In a growing controversy over ‘controlled digital lending’ and the Internet Archive’s handling of copyrighted material, the Association of American Publishers joins complaints from authors’ organizations. The Internet Archive in San Francisco has come under increased pressure today (January 7) from the Society of Authors in London, which has released an open appeal to some of the world’s most august funding organizations that support the Internet Archive and its Open Library. What’s more, the Association of American Publishers (AAP) has stepped into the controversy, which involves what’s known as “controlled digital lending” or CDL. The publishers association’s stance is spelled out in a blistering article that condemns the concept’s “flawed theory” and “disregard for the law,” taking the Internet Archive to task. In “controlled digital lending,” a library digitizes the print edition of a book in its catalogue, and then lends out the scanned copy as it would the print edition. 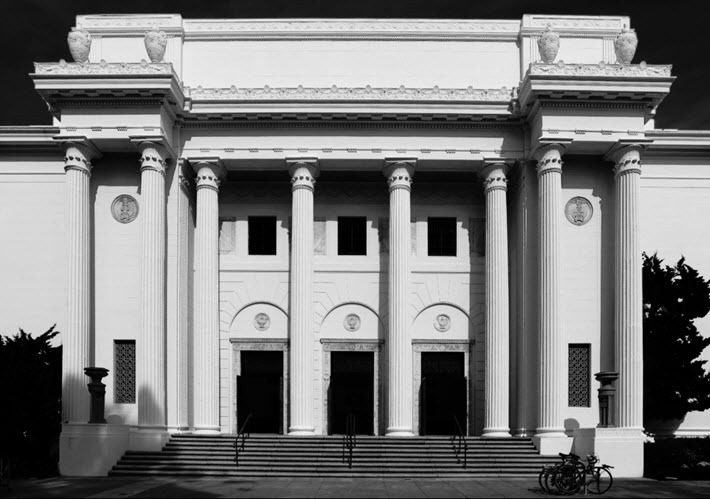 The Authors Guild maintains that the Internet Archive is using CDL as its rationale for lending digital copies of certain titles, to the detriment and copyright infringement of rights holders. In its condemnation of the Hansen-Courtney argument, the publishers’ organization writes, “AAP strongly disagrees with the analysis of the white paper and its call to libraries to copy and transmit copies of entire books to the public in disregard of the law. “AAP notes that the white paper emerged after copyright owners repeatedly questioned the Internet Archive about its legal basis for making and distributing unauthorized copies of copyrighted books, including by offering copies of both new and backlist titles for download under an ‘Open Library’ project. “In 2017, the Internet Archive aimed to redouble its efforts on this project by competing for a $100 million grant from the prestigious MacArthur Foundation (100&Change), thankfully unsuccessfully. As one of the essential flaws of the CDL rationale, the AAP points to an incorrect assumption that ‘the market for print books and the market for ebook lending are the same market, so that circulation of a work ‘in any format’ is fungible with circulation of that work in any other format. The AAP opinion goes on, “This is demonstrably not true, as the publishing industry and libraries have over many years created and participated in entirely separate markets for the sale of physical books and the licensing of -books, at different prices and on different terms and conditions … CDL is designed to compete with copyright owners’ digital market, not some hypothetical physical market, making the ‘owned to loaned’ concept in CDL irrelevant to the application of §109(a) and §107,” referring to the first sale doctrine under 17 U.S.C. §109(a) or the fair use doctrine under §107. The Authors Society, in its statement today, refers to a growing international coordination that goes beyond the adamant stance of the Authors Guild in the United States to include what the society says is discussions it’s having with the Writers’ Union of Canada (see its statement on CDL here) and the Australian Society of Authors (see its statement here). And the society’s new tactic could indeed precipitate damaging repercussions to the Internet Archive if the archive’s major donors begin to have second thoughts about supporting an organization charged with practicing a “systematic infringement” of copyright. In today’s new letter from the Society of Authors, the organization’s president Nicola Solomon writes, “As funders of Internet Archive, we hope that you will inform them that they must take down the Open Library site in the UK and must stop infringing authors’ copyrights and damaging their incomes worldwide. A statement from the Society of Authors with the new letter announces that its original complaint to the Internet Archive about its Open Library–covered by Publishing Perspectives at the time along with the Authors Guild’s parallel complaint in the States–has gathered more than 700 signatures. The Society of Authors also directs writers to alert the Authors Guild if those authors see their books appearing on the Open Library system, and it supplies this link to the form that authors can use to make a report. Repeated requests to the Internet Archive from Publishing Perspectives have gone unanswered, and other news media are also working without comment. More from Publishing Perspectives on the Authors Guild is here, on the Society of Authors is here, on the Association of American Publishers is here, and on authors in the industry is here. has anyone filed request for injunctory relief? An injuction to immediate stop what is irreparably harmful to the authors becasue the internet distribution takes from them the rightful income and disseminated their work in ways they can not retrieve? That the organization disseminating continues, pays its workers, makes money from the authors without compensating them? They need to go to court. Immediately. Raise the stakes. The internet is moving very fast, lawyers and courts move very slowly…it is a very bad combination.